School has seemed a little bit quieter than usual this week, as many of our Year 5/6 children have been to the Isle of Wight. It will be fantastic to have them back and hear all about their exciting adventures next week, but in the meantime, one lovely piece of information that made it back to Colney Heath ahead of them, was that their behaviour was described as ‘a credit to their school, families and teachers’ by one of the sites they visited. It is a pleasure to recognise and share that information. Meanwhile, back in school there has also been plenty of high quality and exciting learning to celebrate. In both Years 3 and 4 there has been a distinctly geographical feel to the week. Our geologists in Year 4 have been experimenting with volcanoes as part of their Romans topic, as they find out about the unfortunate city of Pompeii. Their assembly this morning staged a dramatic re-creation of the famous eruption, much to the delight of the audience! 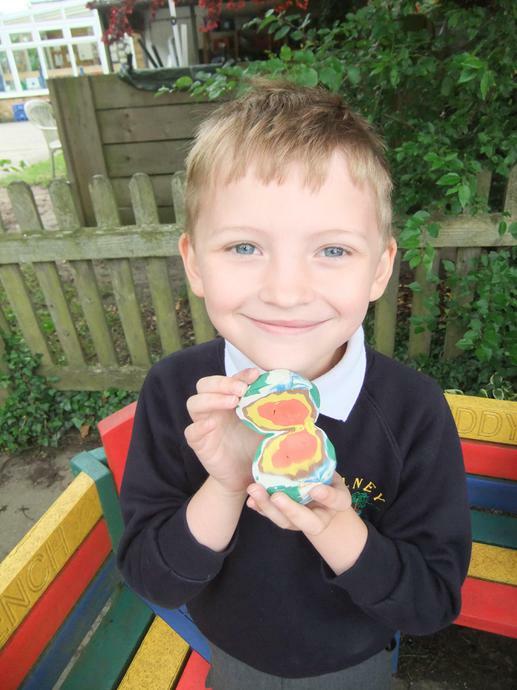 Year 3 have been using plasticene to construct the layers of the Earth as part of their Science topic on rocks and soils. There was great delight as they sliced open their models and explained how each layer is constructed. 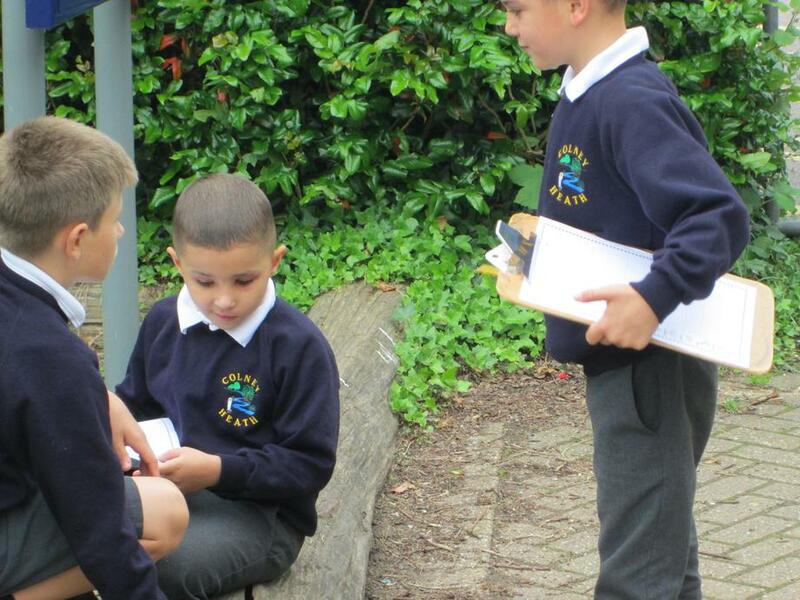 Year 1 have also been out and about this week, with some help from Years 5 and 6, as they search for mini-beasts. The discovery of an ant colony certainly gave them the chance to practice their tallying skills! The children are not the only ones who have been out more this week – you may have noticed our KS2 teachers in the Infant Playground at the end of the day. By accompanying our classes round each day, we are hoping to have more opportunity to keep in touch with parents. Please come over and say ‘hello’, it’s a great chance to exchange snippets of good news or ask a question. The last date for returning the 'Race For Life' sponsorship is Monday 11th June. Thank you for the donations already received.